This post has been on my mind and in the making for a long time. 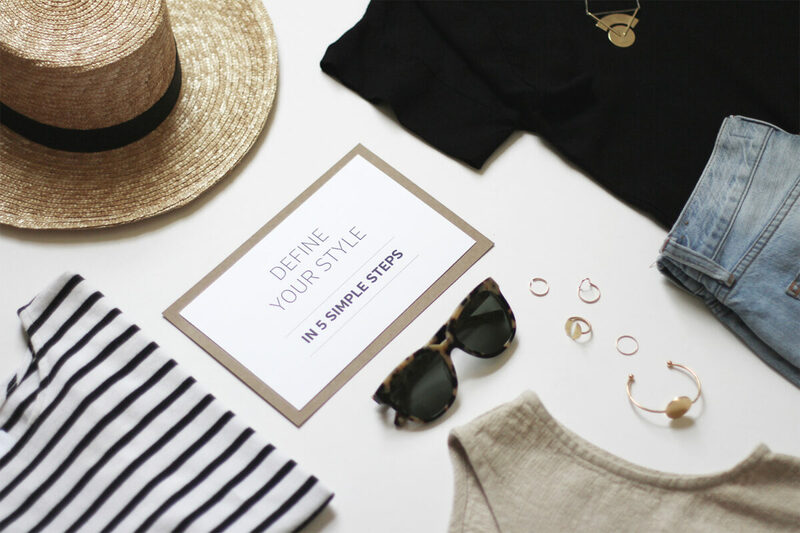 I knew I wanted to iron out the process of how to define personal style and keep it super simple, but there are SO many articles and posts on the topic that I found it really overwhelming. 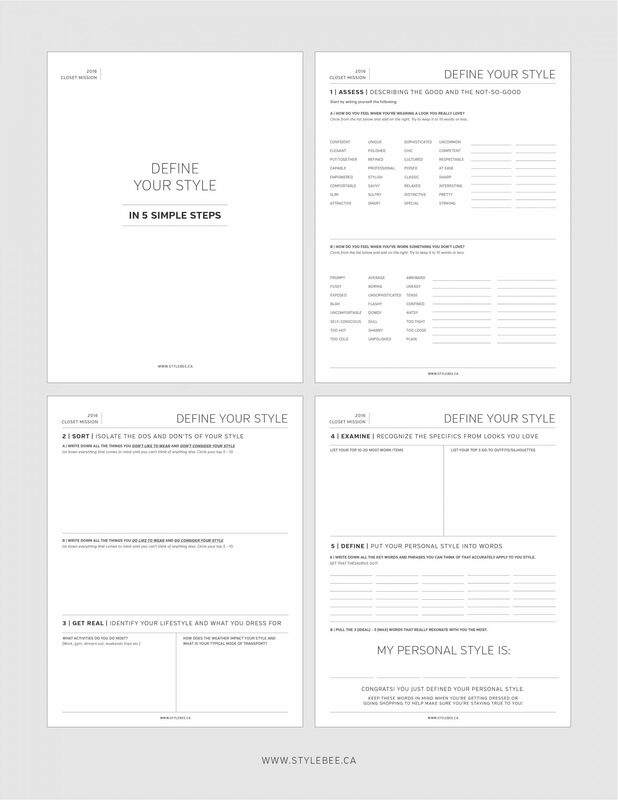 Last year I developed a workbook to help DEFINE one’s personal style and while it was useful and somewhat effective it still felt too convoluted to me. Turns out, 1 year is a long time for someone as devoted to the quest of personal style as I am and has led to some great insights and findings that I was able to apply to this post and workbook. This step to define my personal style was a critical one for me and has been integral to the success of my lean closet mission as a whole. Once I spent some time thinking about it and assigned a few key words to my style it felt a lot clearer to me, instead of just being a jumble of ideas floating around in my head. 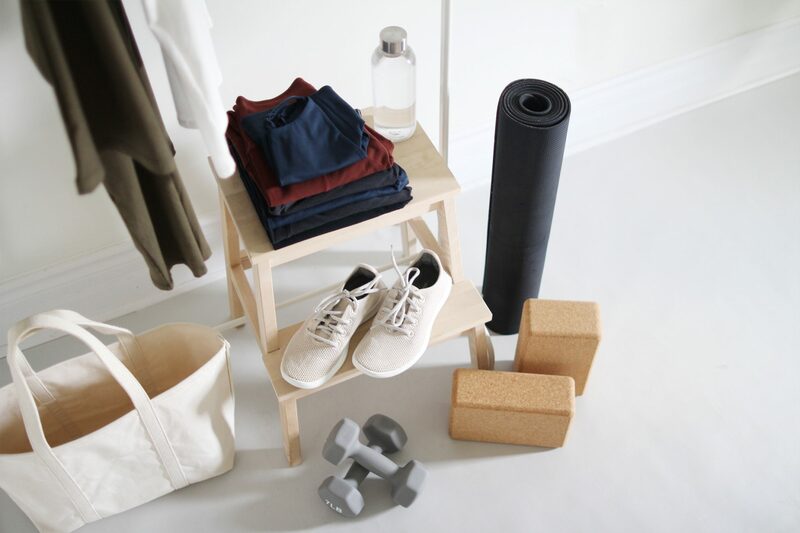 Having a definition in mind really helps when it comes to getting ready, planning looks, shopping and especially when I’m deciding what items need to go to keep my closet lean. So whether your style feels like a jumbled mess or you just need to get it into words, this exercise is for you! 1 | You already know your personal style definition, you just haven’t put it into words yet. A lot of the people I’ve talked to about this topic have said they find it daunting or intimidating. That, and, ‘I don’t really have a style.’ is a common phrase I hear but it’s just not true! It might be that your closet is just too packed with things you don’t actually love to wear or that you’ve just been in a rut lately. But absolutely everyone has a personal style that’s worthy of a proper definition. 2 | This workbook involves ZERO Pinterest. I know people are always suggesting you pin your favourite looks to a board and you’ll start to see themes and common elements but those themes and common elements aren’t necessarily applicable to your true or current style. 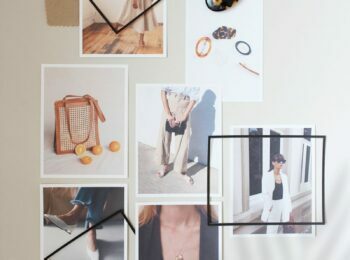 Don’t get me wrong, I love Pinterest, and it’s an invaluable tool for seeking inspiration and beautiful photos but I think it can muddy the waters when you’re attempting to iron out your own style definition. A | HOW DO YOU FEEL WHEN YOU’RE WEARING A LOOK YOU REALLY LOVE? B | HOW DO YOU FEEL WHEN YOU’VE WORN SOMETHING YOU DON’T LOVE? WHAT ACTIVITIES DO YOU DO MOST? HOW DO YOU DRESS FOR THEM? HOW DOES THE WEATHER IMPACT YOUR STYLE AND WHAT IS YOUR TYPICAL MODE OF TRANSPORT? A | WRITE DOWN ALL THE KEY WORDS AND PHRASES YOU CAN THINK OF THAT ACCURATELY APPLY TO YOU STYLE. GET THAT THESAURUS OUT! B | FINALLY, PULL THE 3 – 5 WORDS THAT REALLY RESONATE WITH YOU THE MOST. 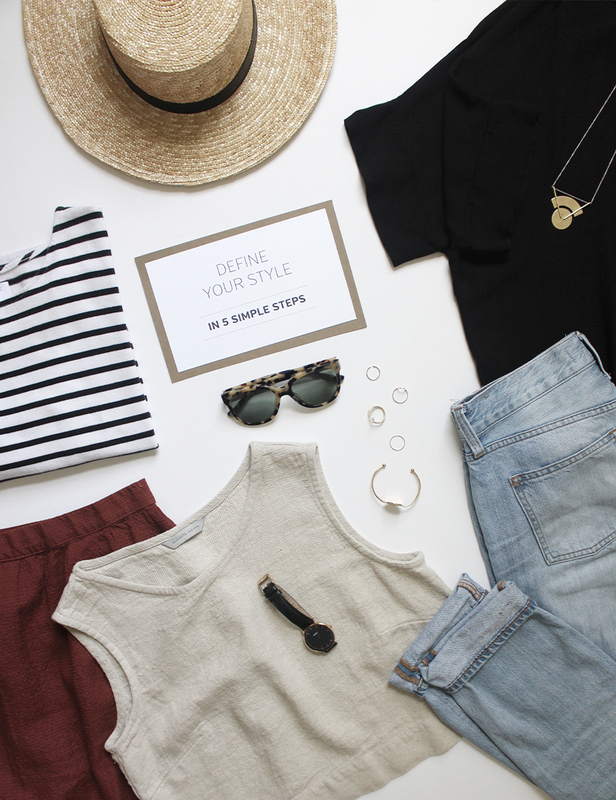 THESE WILL BE YOUR PERSONAL STYLE DEFINITION! And that my friends and fellow style enthusiasts, is all there is to it! 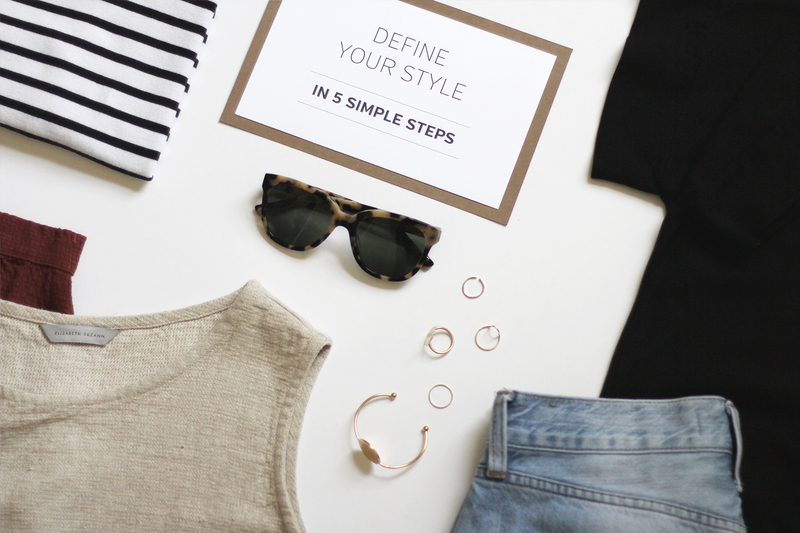 5 Steps, a bunch of answers, some thought and a thesaurus are really all you need to define your personal style. So please give it a try! If you’ve made it this far there’s a good chance that you’re intrigued by this exercise. If so, I’d love to hear how this workbook goes for you! 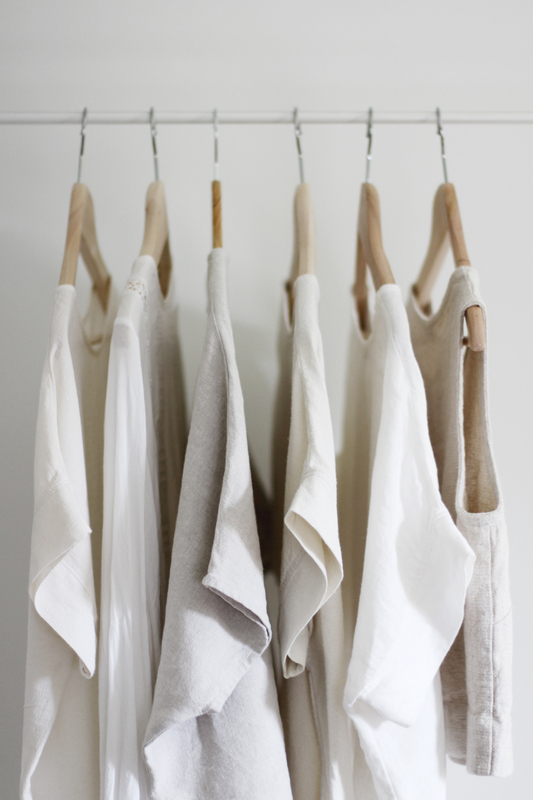 Conduct a Closet Clean Out. 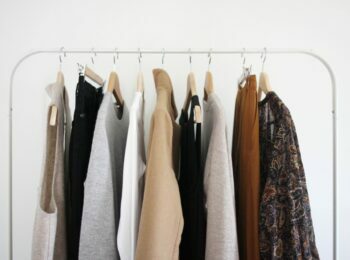 It’s much easier to define a style when your closet is lean. It’s possible that your judgement is being clouded by clutter and items that don’t belong. Go on a Shopping Fast. 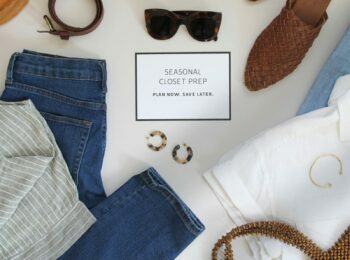 30 Days of no shopping means you have to spend some quality time with your current clothes, explore the pieces you really love and see which ones are just collecting dust. Take the 10 X 10 CHALLENGE and explore your top items and how they can work harder and more efficiently for you. This challenge always reveals some key silhouettes and styles you’re gravitating towards. Try it again with a friend. We’re all our own worst critics so if you’re having trouble finding the right words or answering some of the questions it helps to have a good friend that knows you well to add some more objective thoughts. A glass of wine never hurt either! There’s one last thing I’ll say before I shut up for the weekend, which is that Developing Personal Style and Defining Personal Style are definitely different things. I consider Defining Personal Style to be something you can do at any moment, whereas Developing Personal Style, is a much longer process, that takes time and thought and some trial and error. But, much more on that later! I used your workboook on defining my personal style back in summer – and now I’m using the idea of it to work on our school’s corporate identity with my staff. I think it’s great to bring in a different approach than the business one. Thank you for your inspiration, I hope it will work out and I’m looking forward to working on that with my colleagues. I just stumbled onto your blog this week and love what you do. I’m from Waterloo and nearly fell off my chair when I saw you were from Guelph! Thank’s for representing south-western Ontario in such a rad way. I worked through your workbook and ended up with relaxed, elegant, and tailored. I’m really big into sewing, and I can’t wait to start designing pieces that fit into this aesthetic. Thanks for putting all this fun stuff together! Very helpful, came to me in the perfect timing! Thanks a lot dear! This will work well for those who have a style they like but don’t know consciously what it is — it will help them to hone it and refine it — but it won’t help those who are unhappy with the clothes they wear and want to develop or create a style that will suit them. 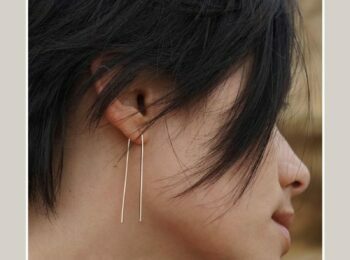 For such individuals, I do think that looking at pinterest photos can help them identify what appeals to them, which they can then narrow down using considerations like whether they would actually feel comfortable wearing this or that look or style in activities they actually engage in, and so on, and whether styles they like are suitable for their climate, lifestyle, etc. At any rate, it was finding a single pinterest photo that helped me clarify what style I would like to adopt for a large proportion of my time. I had been wrestling with conflicting ideas about styles I like for some time, and when I found that particular image, I noticed that the style depicted would work for many different parts of my life, and solved a number of problems or conundrums I had had until then WRT my style. Had I simply examined what I was actually wearing up till then, I would be dissatisfied to this day. Sometimes people do need to create a personal style for themselves, not merely identify their existing style. I realise your post is about defining one’s style though, rather than creating a new one for oneself. But often people thinking in terms of defining their style actually mean identifying the style or styles that would feel them, that they would actually like to wear. I recently stumbled across your website and I love it! 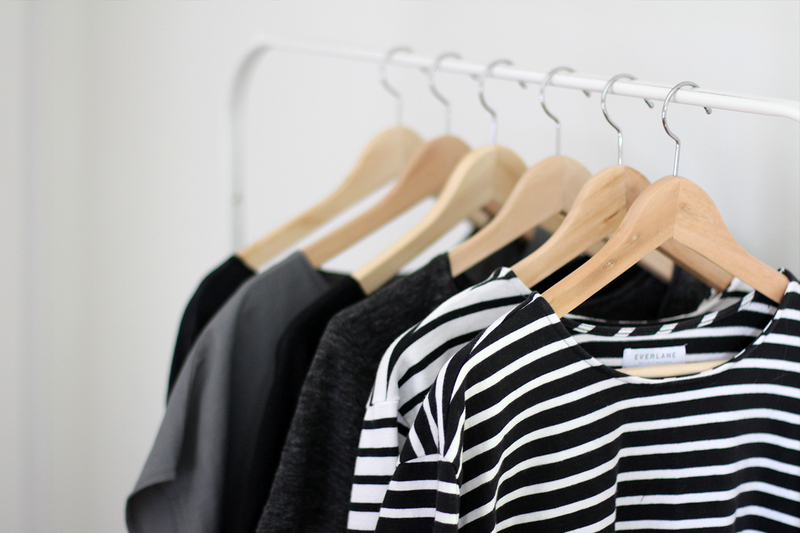 Your closet mission and focus on buying responsibly really speak to me. This exercise was an eye opener for me. I realized that my most worn items are not even things I like, and definitely are not an example of what I want people to think of me. I felt bummed. Then I read your note at the end: defining your personal style and developing your personal style are two different things. Ahhh…so where is one to start when one doesn’t like their current look? Tips for a style overhaul? It’s a tall order, but someday I’d love for you to provide a guide for the style-challenged/style-overwhelmed. Thanks for all the inspiration! 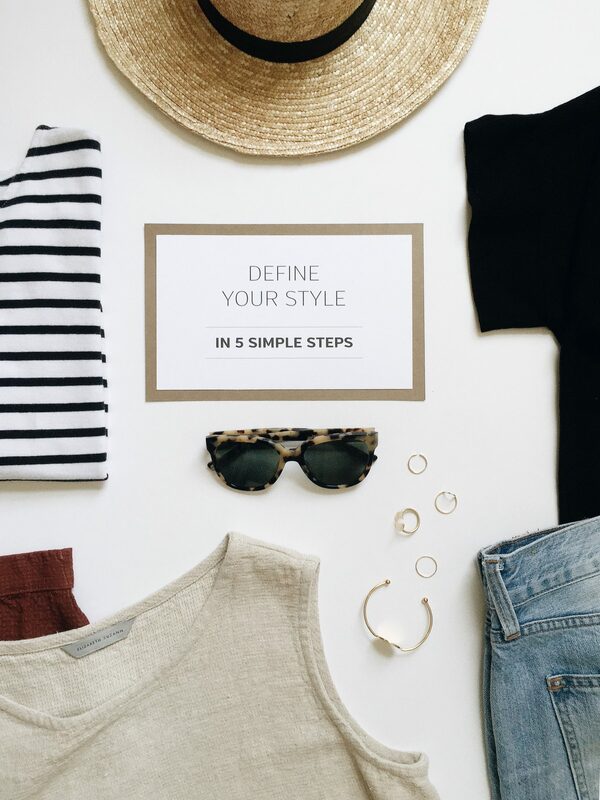 This is such a great exercise and a really fun way to start thinking about personal style and how it relates to your lifestyle and personality. 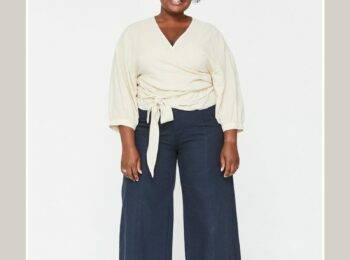 I’m a Fashion Stylist and Image Consultant and I notice a lot of my clients associate defining personal style with something scary or intimidating but this exercise just proves how fun and exciting it is meant to be! Excited to try this out! I downloaded your workbooks last year, but honestly found them a bit overwhelming too, so I’m curious to try this streamlined one. Thanks for always providing quality content on your site. It’s one of the reasons that it’s become one of my favorites over the last couple of years! Just came across your blog/instagram and love it! Such a great and helpful post! This is super helpful! Been filling out the workbook for the past hour and it’s so much fun. It’s been incredibly enlightening for myself! Thanks for sharing your great tips as always. Very thorough. Enjoyed reading this. …. A major style icon for me! Enjoy your gorgeous new kitchen and weekend! As always Lee a really phenomenonal post! I’ve worked on this a lot with you these last 2 years, but lately have been so emotionally down I’ve let bad shopping triggers come back, and done a few buys, and a few buy and returns. This is incredibly inspirational! 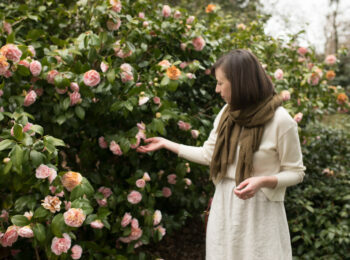 The perfect weekend project – your thoughts and ideas about the task of identifying a personal style are so true.